Pinterest. The new social media for people aspiring to cook better, have glossier hair and to find funny pictures of cats in bread. For people who haven’t tried it out yet, it is a site that acts like a huge electronic pin board (get-it – what a clever bunch of people who name it) so if you see on a website something like a recipe you want to try out later you can ‘pin-it’ to refer to it later. I have friends who are wedding planners and dress makers, who use it almost as an electronic planner for clients. Being a massive geek and loving trying out new trends when related to food, I gave it a go. It’s fair to say I’ve been sucked in! I probably have now more recipes than I could possibly try out, a lot peanut butter and chocolate based as you can imagine. I settled on try out a home made Nutella recipe- as Nutella is a thing of beauty, whether just eating it off the spoon watching a rom-com, warm toast or in cakes or ice creams- it’s incredible! I know in an earlier post I mentioned how I don’t like cooking with American cup measurements, with this recipe it just seemed easier to use them than measure out the ingredients which the conversions were odd grams etc.. The comments on the recipe, said how the Nutella was far too wet and that 1/2 a cup less of the milk would help. I tried it with the less milk and wished I had added a splash more milk before it set as it was a firm ganache, rather than a spread. Below I’ve put the full amount so use your senses when it comes to adding it. 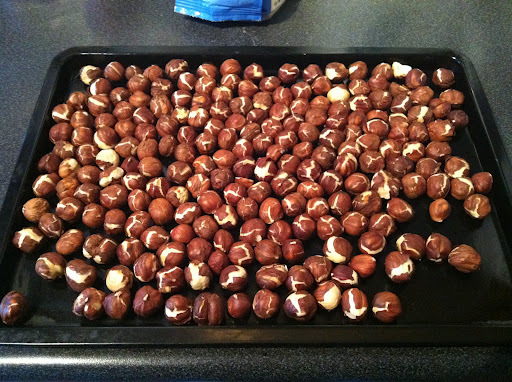 Oven to 205C, place the hazelnuts on a tray and toast for 10 minutes. Transfer them to a clean tea towel and gather into a bundle and rub together to remove as much skin as possible. While still warm, transfer to a food processor and blend until they go from finely ground to a thick paste. This took ages in my ancient processor and must admit I had a slight hangover so maybe didn’t grind them as much as I should have! 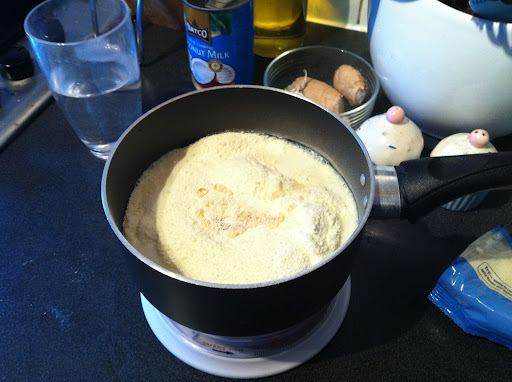 In a sauce pan, mix the whole milk, powdered milk, honey and salt, heat over a low heat until the mixture starts to boil. Remove from the heat. 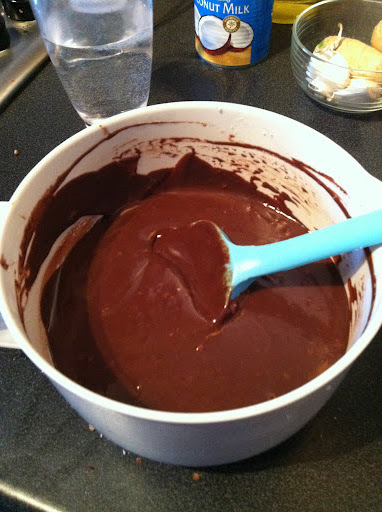 Melt the two chocolate in a bowl over a pan of simmering water, stir occasionally until smooth. 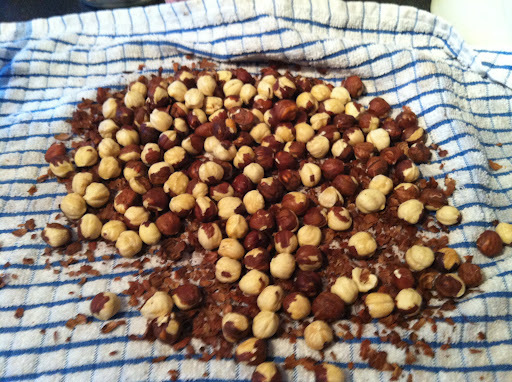 Add the melted chocolate to the ground nuts in the processor and mix, stopping to scrape down the sides. 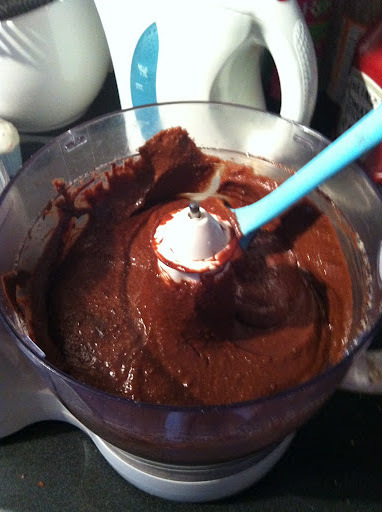 Add the warm milk mixture to the processor and process until everything is well blended and as smooth as you can get it. There was another tip left by someone who had tried it out, which was to strain the spread at this stage to remove the bulk of the hazelnut, it seemed like a waste to me! 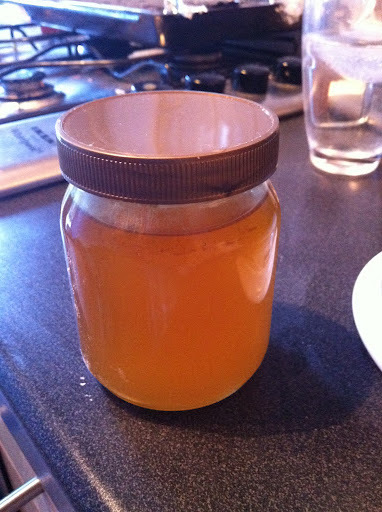 So left the spread as it was and spooned into sterilised jam jars. Keep the spread in the fridge due to the dairy content and it shouldn’t last too long! The finished spread ready to fall in my mouth! 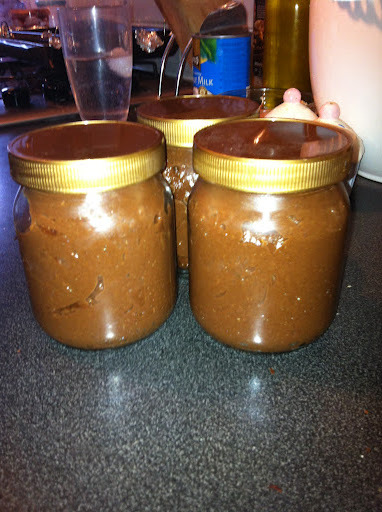 I don’t think it was better than Nutella in any way but made a delicious nut spread, and since making it, I have seen a recipe by Paul.Young the chocolatier I mentioned in my Easter post, who uses hazelnut oil instead of hazelnuts which would give you a much smoother texture. Save this article to Pinterest, pin the below image! All original content belongs to Rachel Scott/FoodNerd4Life 2012 -2019. No words or images may be reproduced without permission from the copyright holder. The images on this blog have been shot by Rachel Scott unless stated source from elsewhere.